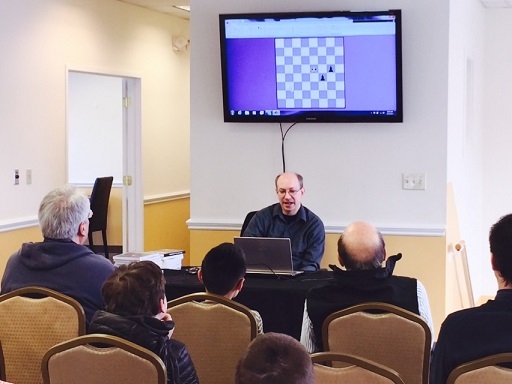 This Saturday Grandmaster Joel Benjamin visited CCFC to share his new book Liquidation on the Chessboard, share his inspiration for the book, and share some enlightening examples of transitions into pawn endings. The crowd greatly appreciated Benjamin’s articulate and entertaining style. 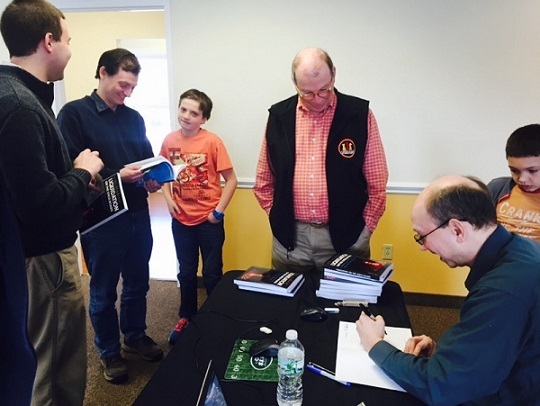 Ever friendly, Grandmaster Benjamin remained at the club well after the end of the lecture sharing stories, answering questions and signing autographs. Stay tuned for the next edition of our lecture series!